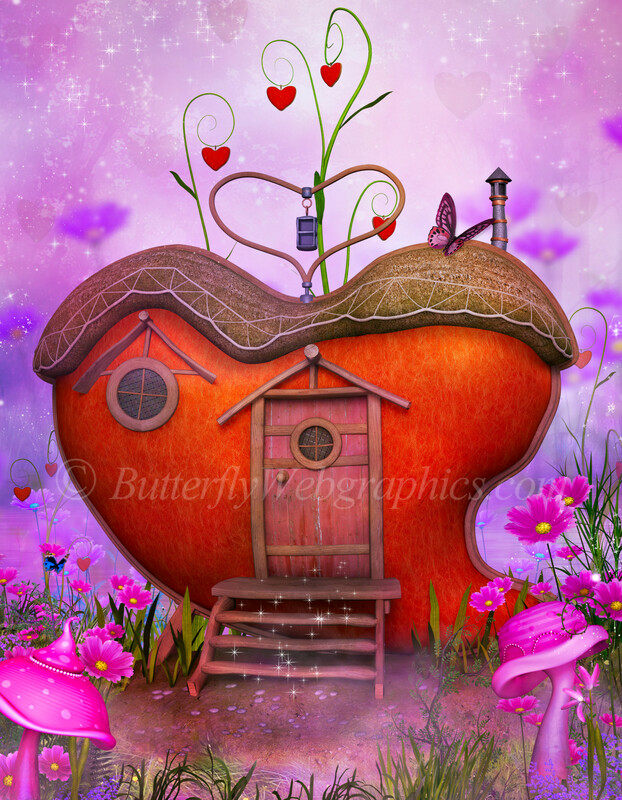 Festive backgrounds and props for Valentine’s Day! Use the finished backgrounds or create your own. 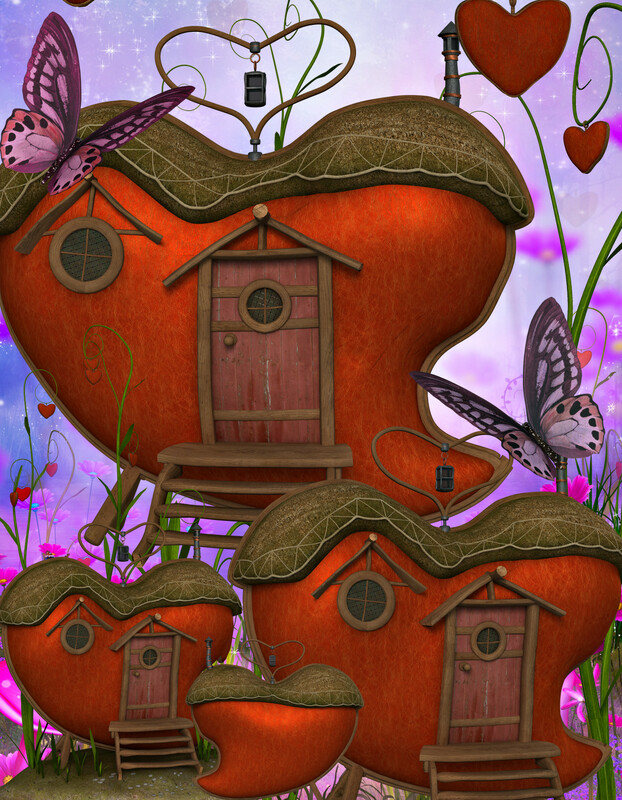 The heart houses also come separatedly. A package of unusual Heart House graphics for Valentine’s Day. Four finished backgrounds are included, two of which are color variations. 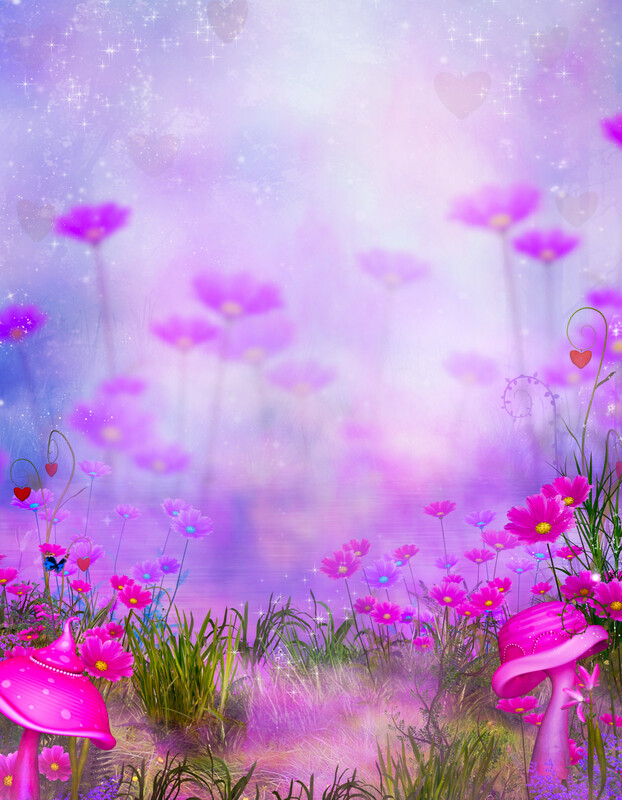 And two “blank” backgrounds are also included so that you can build your own Valentine’s Day scene if you desire. 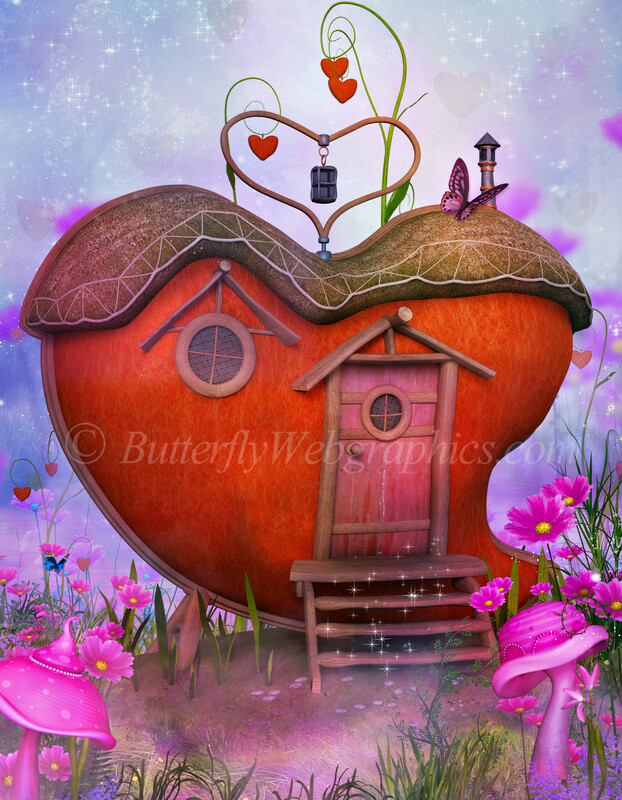 In addition, this package contains separate Heart Houses, plants, a seamless tile, and a butterfly to help you create the passionate scene of your dreams that will call to romantic hearts out there. After all, what better way could there possibly be to spend Valentine’s Day than in someone’s heart? The seamless tile on this page is also included. It will be perfect for backgrounds, paper making, flood fills, etc. It has something of a watercolor look. This package is two zip files, which are about 87 MB each.